KATHMANDU, Jan 16: A year-long investigation conducted by a Centre for Investigative Journalism (CIJ) team in collaboration with the International Consortium of Investigative Journalists (ICIJ) found that 55 Nepalis have invested in several foreign countries. Nepal’s law bars Nepalis from investing abroad. The investigation shows that nearly a dozen business groups are involved in channeling their illegal wealth abroad and bringing the money back into the country in the name of foreign direct investment (FDI). The investigation went through 3,000 pages related to Nepal from around 28,000,000 pages of documents of Swiss Leaks, Offshore Leaks, Panama Papers and Paradise Papers provided by ICIJ. The investigation revealed that Nepalis had saved 460,821,000 Swiss francs (Rs 520,727,74000 as per the current exchange rate) in Swiss banks. The Nepali account holders have already received their interest worth 6,974,000 Swiss francs (Rs. 774,114,000). In our attempt to unearth more details, we sent him our last email asking how many Nepali had their accounts in the bank. “We do not publish the number of customers,” he said. Nepalis appears to have started to shelter their fortunes in Swiss banks in the year the Maoist insurgency began in Nepal. Starting 1996, when the conflict hit the nation, Nepalis began transferring their money to the banks. According to details released in 2017 by Swiss National Bank, Nepalis deposited 11,042,000 Swiss francs (Rs. 1,247,746,000) in Swiss banks in 1996. Over the period of 10 years, the total saving amount of Nepalis rose to whopping 240,272,000 Swiss francs (Rs. 2,715,736,000). Remarkably, after the end of the conflict, the amount deposited by Nepalis for the next two years saw a dramatic decline. In2006 alone, Nepalis deposited 36,727,000Swiss francs (Rs. 4,150,151,000) in Swiss banks. In 2007, the savings fell to 34,500,010 Swiss francs (Rs. 3,899,630,000). From the total saving amount, 138,937,000 Swiss francs (Rs. 15,586,881,000) is shown as the amount that has been withdrawn so far. Even now, Nepalis have Rs 35.84 billion in the Swiss banks. Minu Shah, a Nepali national, holds the largest amount in Swiss banks. She is married to Sirvatera Prakash (SP) Chhibber, an Indian national. Her husband died in 2003. The couple’s sons hold Nepali passport. Records show that Minu and her sons deposited 23,552,973 US dollars (Rs. 2,614,380,000) in the bank in 2006/07. However, the document fails to connect the wealth to illegal means of collection. More than 60 percent of the FDI share amounting to Rs. 82,655,700,000 in Nepal comes from 'tax haven' countries. The British Virgin Islands and the nearby countries alone have an investment totaling Rs. 62,779,700,000 in Nepal. However, the government of Nepal has given FDI approval to 17 'tax haven' countries. Sumargi’s story: Sumargi’s company has spread its tentacles far and wide. According to information obtained from the Office of Company Registrar in Cyprus, on September 12, 2013, TeliaSonera Norway Nepal Holdings bought 20 units of share worth 15.2 million Euros (around 2 billion rupees) from Sumargi’s company Airbell. 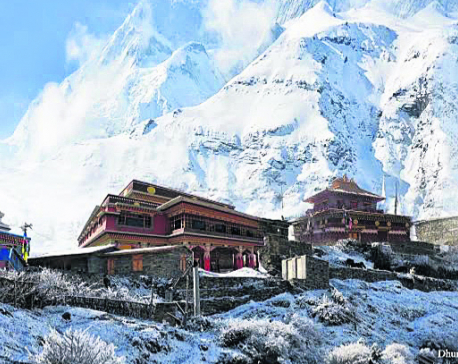 Six days later, TeliaSonera Norway Nepal Holdings bought another 40 units of share worth 29 million Euros (3.98 billion rupees) from Airbell. At the time, TeliaSonera Norway Nepal Holdings had invested in Ncell through holding companies. 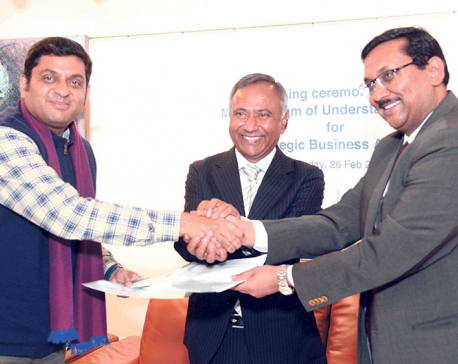 Like Airbell, Sumargi has close ties with Ncell and Zhodar Investments. On May 12, 2010, Trident Trust, an intermediary law firm, had registered Zhodar Investments in the British Virgin Islands, according to ICIJ. Arjun Sharma, a director of Sumargi’s company Muktishree Pvt. Ltd., is one of the investors. According to a memorandum of understanding signed between Zhodar and Sumargi’s Nepal Satellite Telecom Private Limited on May 23, 2011, Sharma is also a director of Zhodar Investments. Sharma also serves as a director of Muktishree Pvt. Ltd. Sumargi had transferred a total of $ 48,372,222(483,722,210 rupees) in 23 installments to Nepal without getting approval for FDI. In 2011 and 2012, Zhodar Investments had sold 510 and 1000 units of share to TeliaSonera Asia Holding BV, which evaded taxes in Nepal while operating Ncell. On November 22, 2013, Zhodar Investments transferred 1060 units of its share to World Wide Incredible, a company registered in British Virgin Islands. On the same day, the company joined Sumargi’s company Airbell Services as partner. It means Sumargi is linked to these companies as well. TeliaSonera, which was linked to these companies through cross holdings, invested in Ncell in Nepal and sold it to another company after 8 years of operations. Niraj, Samata and Upendra Mahato story: The 2015 Panama Papers leaks of the ICIJ showed that companies were registered in tax havens in Upendra Mahato’s name. Documents available show several companies owned by Upendra, his wife Samata Prasad and Niraj in different countries. In their names, investments are seen in British Virgin Islands, Cyprus, Belarus, England and India. Among them, the companies Spartley Ventures, Pankur Finance, Tipologia, Moneystar, Amkodor, BNK, Yagyadeep, Yumi Nepal Earthquake Appeal, Nostal Business Corp and Mabel Apparelare owned by two or all three of them. Ajeya Raj Sumargi and Arjun Sharma: Businessman Ajeya Raj Sumargi also has investments abroad. Stelios Orphanides, the Cypriot investigative journalist affiliated with the ICIJ, provided the CIJ Nepal with the details from the ‘Department of Registrar of Companies and Official Receiver’. According to the documents, Sumargi is found to have invested in Airbell Services Limited Company of Cyprus. Located at Magnum House in Cyprus, the company incorporated in 2008 is active till now. The Airbell, registered by the law firm ‘Magnumserve Secretary Limited’, has investors: Ajeya Raj Sumargi, Arjun Sharma [who works at Sumargi’s Nepali company Muktishree Private Limited], ZhodarInvestmentsPvt Ltd [based in the BVI], and 12 foreigners. The given address of Sumargi is Hetauda-5, Makawanpur, Nepal. Sharma has given Kamaladi Kathmandu-2 as his address. “While registering the company in Cyprus, Sumargi has not only violated Nepali laws, but it’s against the Cypriot laws as well. The citizens of a country that bars investments abroad can’t invest in Cyprus, too. It was essential for the Magnumserve Law firm to know about the legal prohibition for Nepalis to invest abroad,” said investigative journalism Stelios. Sumargi and Sharma have clearly violated the laws by investing abroad. What’s more, they brought in money from their own foreign company in the name of foreign investment without seeking permission from the Nepal government authorities. According to the details made public earlier, they brought money into Nepal from their own company Airbell Services Limited in the name of foreign investment without getting permission from the Nepali authorities. According to the preliminary report prepared by the Department of Money Laundering Investigation last year, Sumargi is seen to have brought 63,185,533 US dollars into Nepal from Airbell in nine transactions between 2008 and 2013. Besides this, Sumargi has brought nearly 60 million dollars into Nepal from several other foreign companies. Niraj Govinda Shrestha is another Nepali involved in massive tax evasion scam surrounding the sale of Ncell. Shrestha is also an investor in Belarusian-Nepalese-Kazakhstan Group (BNK Group) Limited in Belarus.When TeliaSonera soldNcell, he had 20 percent share in the company. TeliaSonera sold its 80 percent share in Ncell to Malaysian company Axiata. Shrestha sold his 20 percent share to Nepali citizen Bhawana Singh Shrestha. The Large Taxpayers’ Office has ruled that that tax worth 11 billion rupees was evaded in the transaction. Shrestha challenged it at the country’s Supreme Court. The court issued an interim order to not extract tax from the company, which has stalled the payment process. Niraj Govinda Shrestha has invested in more than a dozen companies in foreign countries. As a non-resident Nepali, he is allowed to invest in foreign countries. But, since he has invested in tax haven countries, questions about the source of his investment have been raised. According to a 2018 investigation by a Belarusian investigative journalist, Shrestha has invested in several tax haven countries. Together with Abdo’s younger brother Michel Abdo, Shrestha has registered a company called Nostal Business Corp in the British Virgin Islands. 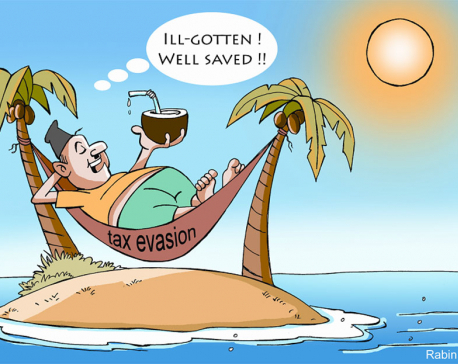 Shrestha from tax haven to India and Nepal. Nostal Business Corp, which has investments from non-resident Nepali businessman Niraj Govinda Shrestha, had attracted FDI in Setko International, a company in Belarus. Setco International has won a contract to construct a building in a plot that was liquidated after a company failed to comply with building codes, according to the Belarusian investigative journalist. Niraj Govinda Shrestha, Upendra Mahato, and his younger brother BirendraMahato and Romeo Abdo are board members of Amkodor Holding Company in Belarus. Shrestha along with Indian nationals Amit Jha, Hiranya Prakash Dhar and Belarusian Igor Subbotin have registered Amkodor India JV Private Limited in India. Nepali citizens have also registered a company in India under similar name. Yogesh Lal Shrestha and Menuka Shrestha of Maharajgunj, Kathmandu, have invested in Amkodor Earth Moving Equipment India Private Limited. We couldn’t establish whether Niraj is related with the two. One of the two companies supplies equipment to Amkodor Company in Belarus. Niraj Govinda Shrestha has also registered a company in London called ‘Yumi Nepal Earthquake Appeal’. We couldn’t contact Shrestha for his comments. Flouting laws, evading taxes by Saurabh Group: Saurabh Group is involved in tax evasion and trade of betel nuts. According to the Department of Industry, the purpose of the Group is to produce soaps and betel nuts. The investigation shows the Group has brought FDI from the United Arab Emirates (UAE), a tax haven country, for the same purpose. Interestingly, the UAE-based company that is investing in soap and betel nuts has the same name as the one based in the British Virgin Islands: Global Technology and Trademark. The British Virgin Islands-based Global Technology and Trademark company which brought FDI for the trade of pan masala, has been found controversial because of tax evasion charges. After obtaining permission to seek FDI in 2011, Shree Meenakshi Product Nepal Pvt. Ltd., with the purpose of producing pan masala, gutkha and sweet supari in Parsa district. The Rs 400 million company was charged with tax evasion, and local people have protested against it for polluting the environment. 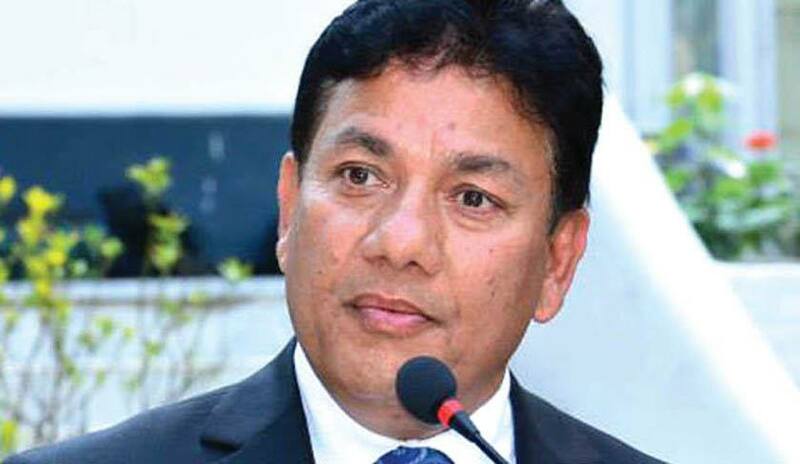 The Birgunj customs office had raided Shree Meenakshi in 2013, and the company was found to have refused to pay taxes amounting toRs 5,496,200. Shree Meenakshi was allowed setting up its factory in Ramgadh of Parsa, away from human settlements. But the company set up its factory in the middle of a village, violating the law and polluting the area. The documents obtained by the CIJ Nepal show Shree Meenakshi had fought a legal case against the state government of Bihar at the Patna High Court in April 2014. The British Virgin Islands-based Global Technology Trademark Company has invested in the Indian tobacco industry through its 38 agent companies, according to the Indian Ministry of Corporate Affairs. Jitendra S. Mandot had served as Manager of the British Virgin Islands-based Global Technology and Trademark Company since 2002. Mandot was also manager of Shree Meenakshi and the Nepal in-charge of that BVI Company. Shree Meenakshi is Nepal’s biggest exporter of betel nuts to India. Binod Khetan is director of Shree Meenakshi. The British Virgin Islands is not the only tax haven country from where Saurabh Group has sourced FDI. Krishna Holdings Ltd of Hong Kong, another tax haven country, has a 45 percent stake in Sarbottam Cement Pvt. Ltd of Nawalparasi, also run by Saurabh Group. The remaining 55 percent shares are owned by Neupane and his relatives. Registered in Hong Kong on 12 May 2011, Krishna Holdings has invested Rs 630 million in Nepal. Just like how Global Technology and Trademark is operating out of not just the UAE but also the British Virginia Islands, the Hong Kong-based Krishna Holdings is related to the UAE-based Krishna International. According to an email response by the Hong Kong Company Registries, the UAE-based Krishna International Ltd is the parent company of the Hong Kong-based Krishna Holdings. Ramesh Kumar Sawarthia and Aruna Devi Sawarthia have invested in the company. Krishna International Ltd has mentioned on its website that it has invested in as many as 22 countries including Nepal, Mauritius and Cyprus. Ramesh Kumar Sawarthia has brought Rs 29.5 million from Hong Kong to build a commercial complex in Gyaneshwor, Kathmandu in 2005. The British Virgin Islands- based Global Technology and Trademark has also invested Rs 240 million in the printing and lamination sector. This company has no Nepali partner, but Saurabh Group’s Jagadamba Synthetic and QualityRoto Packaging are also in the printing and lamination business. Misuse of Nepali citizenship: According to the details provided by the ICIJ, foreign citizens use Nepali citizenship to park money abroad. This is evident from the details of investment in a foreign country by Harish Kumar Todi Agrawal, BijeshTodi and BinduTodi. In 2007, they registered a company called Woodstock Universal Limited in the British Virgin Islands. Stating Biratnagar-9, Morang as their address, Bijesh and Harish had submitted their Nepali passport for the purpose. Bindu Todi, the other investor in the company, has Haryana, India, as her address. Harish and Bijesh are not renowned entrepreneurs in Nepal. Investigation showed that they have investments in India too. While finding out facts about the company in which Bindu has invested, Harish and Bijesh were also learnt to be Indians. They have established the JadeKnits Pvt. Ltd. in India. The T10 Sports that trades in sports goods is registered in India in their names. As mentioned in its website, the company supplies jerseys to the national cricket team of Nepal. Nepal failed to act, says the US Department of State. The United States Department of State Publication Bureau of Counterterrorism and Countering Violent Extremism released on June 2, 2016 stated that Nepal has failed to work against or check to fund in terrorist activities. “Nepal belongs to the Asia Pacific Group (APG) on Money Laundering, additional work is required to develop expertise in financial crimes investigations, case management, interagency and departmental coordination, and border control,” the report said. Can Nepal bring back Rs 52 billion stashed in Swiss banks?